Looking for an affordable headtrip? Try this! 50% OFF IN-STOCK RED SMALL. 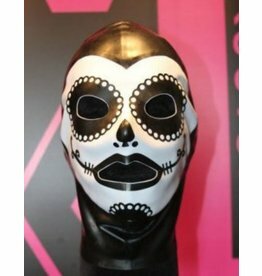 Fetish Latex mask to conceal your identity yet have a full view and access to your mouth and back zip for rear entry. This comfortable open mouth and eyes hood is designed to stretch completely over the head, while the thin lightweight fabric makes breathing and hearing a snap. This hood is a great way to begin playing with sensory deprivation. 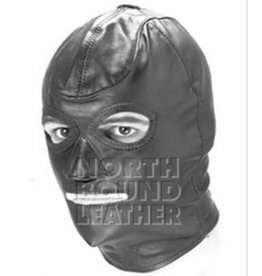 This standard leather hood features eye and nose openings, a zippered mouth and zipper back closure. Great for beginner subs and slaves. 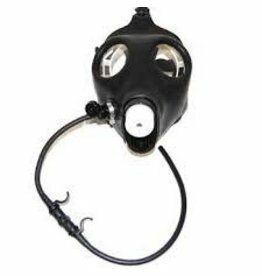 This Israeli Civilian Gas Mask is the real deal! 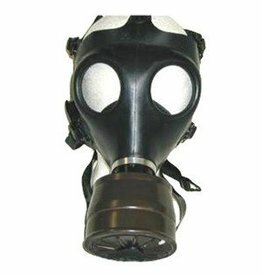 Genuine civilian-style gas mask refurbished in Israel. 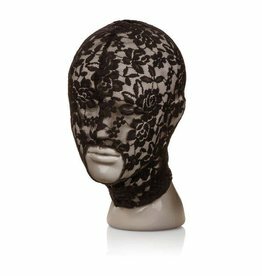 Project an image of power and dominance with this elegantly framed open-faced latex mask. Back zip. Looking for the perfect hood for an extremely naughty fantasy night? 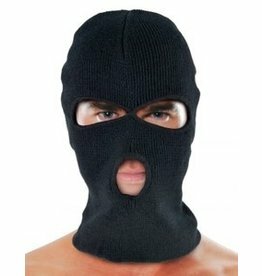 Looking for an anonomizing executioner style hood? 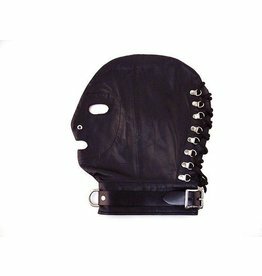 Looking for a classic soft leather hood? This hood will confine your senses, but has an easy double zipper release.